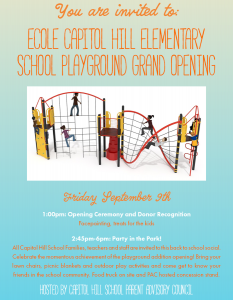 What: Playground Addition Opening Ceremony, Donor recognition, and celebration for the school starts at 1:00pm, followed by a “Party in the Park” welcome back to school social. 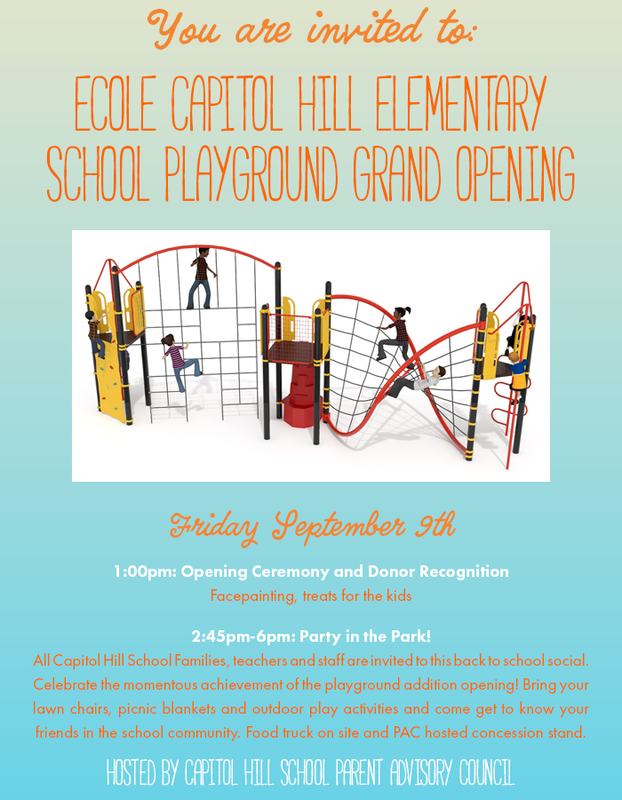 Bring your lawn chairs, picnic blankets, outdoor play activities and get to know your friendly Capitol Hill School community. Food truck and PAC concession stand on site.